The crew will be climbing down from the rigging when this pops out of the microwave. Being up in the rigging makes the crew hungry. So I’m sure they’ll eat this up very fast. While it’s good for the crew, TJ’s Channa Masala is not as impressive as was Trader’s Paneer Tikka Masala, reviewed previously. This is still good stuff, but doesn’t deliver that OMG response when first tasted. For a lunch, it’s going to be a pleasant change from a microwave mac and cheese or a cup of ramen noodles or most of the frozen box entrees. 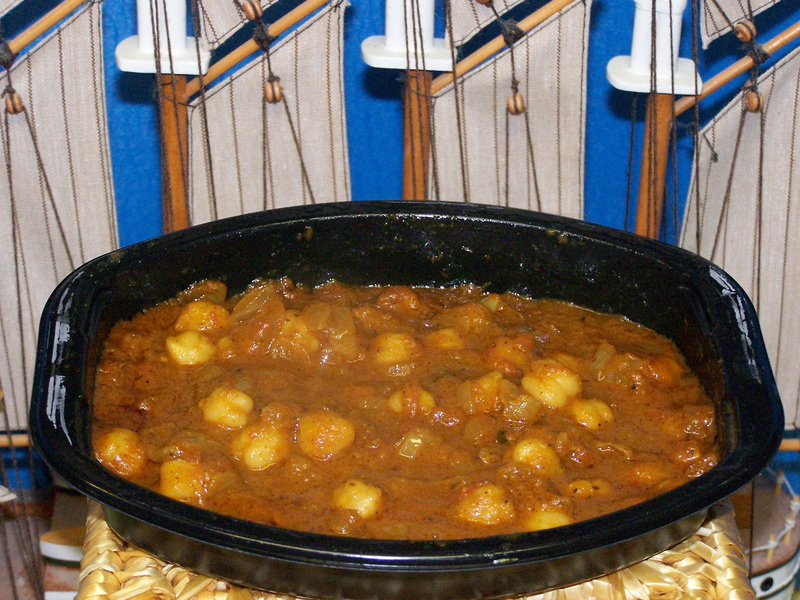 It can also stand on its own as a side dish in a larger dinner. For my taste, the chickpeas might have needed a little more cooking to make them just a bit softer. There were not as many flavors bursting out as I remember from the Paneer Masala. However there was a nice amount of heat which lingered in the mouth for a good 30 minutes or so, to remind you to put it on your shopping list and replace the box you just took out of the freezer. 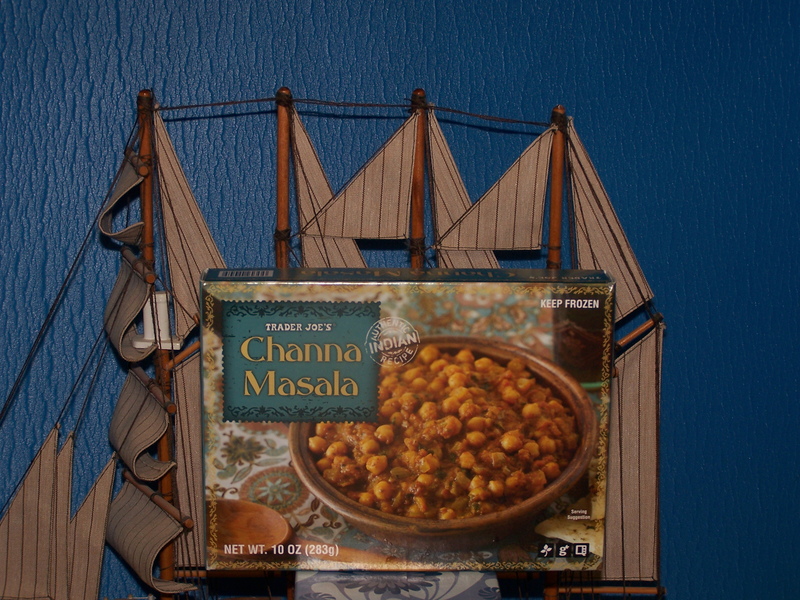 In summation, TJ’s Channa Masala is good and offers a nice change of pace from most other frozen box dishes. It’s worth a try. Trader also classifies this as vegetarian. 180 calories per serving. Serving size is a half box. This entry was posted on 11/25/2010 at 10:00 and is filed under Recipes, food, cooking and related items, Trader Joe's, Vegetarian. You can follow any responses to this entry through the RSS 2.0 feed. You can leave a response, or trackback from your own site.